Based on the fifth Mid-Atlantic Algebra Conference held recently at George Mason University, Fairfax, Virginia. 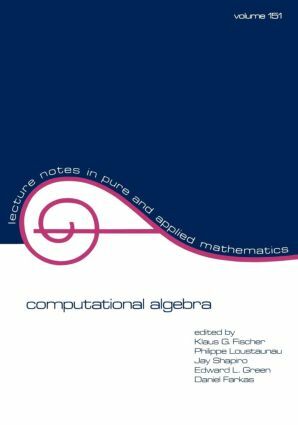 Focuses on both the practical and theoretical aspects of computational algebra. Demonstrates specific computer packages, including the use of CREP to study the representation of theory for finite dimensional algebras and Axiom to study algebras of finite rank.